Friday in the FaireLands and as the wheel turns closer to May Day, the fantasy folk feel their energies rise! Saturday and Sunday will have a plethora of activities and then the Faire goes into the mists for another year, so be sure and attend while you can! The mists parted for a short time and allowed me to take a few pictures of this fascinating town, which seems to hold so many secrets. Afternoon found me at the Jail and Bail for Fallen Gods creator, Alia Baroque. This is always one of my favorite events at Fantasy Faire. Alia makes exclusive skins which are available only during the time of his incarceration. The sim fills with people dancing and enjoying a friendly competition between those who like the light skins (Isis this year) and those who favor the darker ones (Anubis). Tons of L$ was raised for the American Cancer Society and we had a great time! 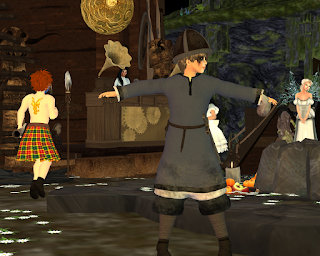 Dancing to great music and the role play of bringing the Princess back to heal the lands and children of Echtra, while raising L$ for RFL were the goals for those who gathered in the Viking village. It's always fun to watch village festivals and they had a lot to celebrate when their Princess returned, bringing Spring with her. Quest: The Tale of the Exiles I completed the Quest today... and there was much rejoicing! If you're a compulsive SL hunter or love challenges, this is a wonderful activity! 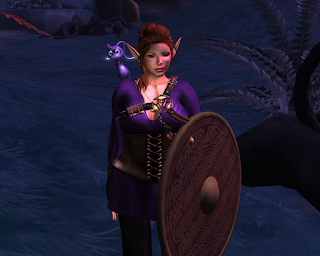 Purchasing a Quest hud sends you to each of the realms of Fantasy Faire to meet various characters and to find artifacts to aid you on final leg of the quest, which includes visits to Dwarves, Mermaids, Humans, Elves and rescuing a clutch of Dragon eggs. Participants must solve riddles, successfully complete visual and auditory games and even do battle to finish the quest. It's well worth the cost of the hud, which is a donation to Relay for Life. The designers and organizers of Fantasy Faire have been extremely generous in giving the best of their wares for the Quest prizes. I counted my treasure boxes and sim gifts at the end of the Quest and there were more than 80 of them! Huds are L$250 for the regular hud or L$350 for the deluxe hud, which includes outfits for both male and female questors. 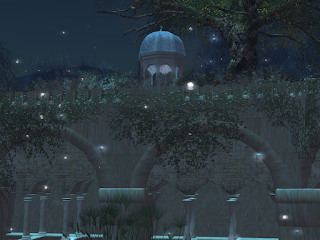 They're available throughout the Fairelands at the landing sites. 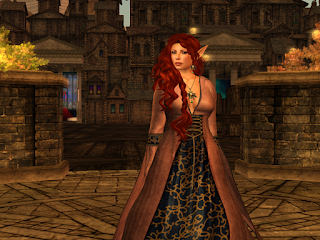 Fantasy Faire 2016 ENDS SUNDAY! Don't miss visiting this event! I finally started the Quest about 4 pm and was doing well till I got stuck on the item in Echtra. I forgot the First Rule of Hunting: Never assume anything! 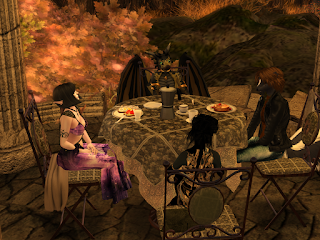 While I stood there re-reading the clue, I got to witness a RP discussion concerning the Grey Prince. It was quite interesting and when I finally realized my big mistake, finding the Quest item was simple. I arrived in Malefiance about 8 pm. I didn't get far, because by then I was tired, but I have a Scout to help me and there's always tomorrow! 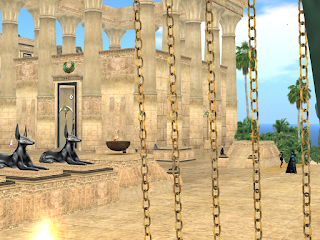 There are a number of wonderful mer designers in Fantasy Faire, but unlike former years, there isn't a sim dedicated to mer items or much room to swim. A couple of the designers are my friends, so I didn't want to overlook this important part of the fantasy realm! You knew there were baby mers. Did you know they were this cute? My mertail is a little big for me because it wasn't made for this avi, but when a kid is this little, everything is too big! I didn't see a "no swimming" sign in the reflecting pond near the Wall of Remembrance, so I used the lily pads and pond weeds as a background and did a water dance for friends who have passed in the last year. We do remember them with love. I returned to SML because I read there was an underwater section, which I had missed. This is the place to be for live shows. There is a large open air theater designed to provide the optimum experience in virtual entertainment. The build itself is colorful and lively. There is a long fabric causeway for those who want to walk to or from the shows and large sculptures surround the theater. Though the people of Sapphire Mirror Lake may be stationary, they certainly seem to be full of life! This is a place of contrasts. I've returned to it half a dozen times and every time I do, I feel that it is about something different than it was the last time I was there. It could be heaven... it could be hell...it might be somewhere in between. Wherever it is, it is ever changing and fascinating. This sim is sponsored by the Looking Glass and it has a beautiful golden glow about it, lots of confusing buildings, a magical crystal hanging in the harbor and lots of nice things in the stores. After browsing though all the stores and spending more L$ than we had intended to, my friends and I sat beside one of the tables overlooking the harbor and chatted. Lots of friendly people [mostly those on the Quest] stopped by to say hello and to ask for hints. One of the best things about Fantasy Faire is the way total strangers come together to fight cancer. I was honored to be part of a spontaneous street dance in Bright Haven. A bunch of us were standing around waiting for another activity to begin. The music was good, some of us started to dance and the next thing we knew, we had 30 or so avatars all dancing and we had raised over L$50K for Relay for Life. but I flew along the border and cammed in to get some pictures of the players anyway. who have put together these activities. I hope I'll see you there! A group of us went to the Golden Delta to seek inspiration for a short story or poem. This sim is a beautifully done tribute to ancient Egypt, which provided broad vistas, pyramids, sunshine and small boats on the river. 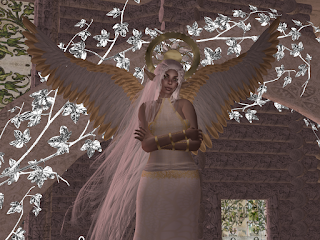 After looking around for about 20 minutes, we returned to the Litfest Crystal Pavilion in Otherworld and had 15 minutes to put our thoughts on paper before presenting them to the group. It was interesting to hear the variety of impressions. If you have an interest in writing, I recommend attending one of these sessions, which will continue throughout the Faire. 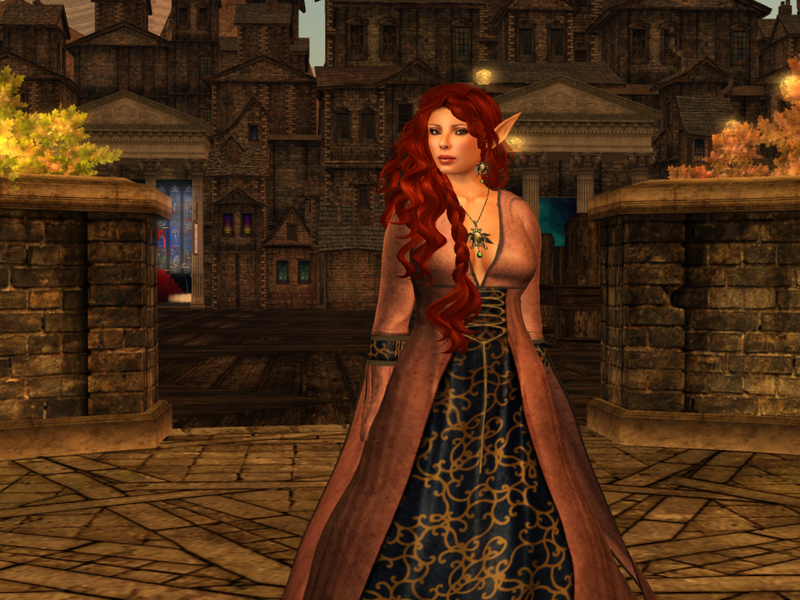 I dressed to fit the setting in a lovely outfit from Vengeful Threads. Quest Huds are for sale at most of the landing points. There is a L$250 version which includes the hud and necessary attachments to use for the Quest and a L$350 version which also includes complete outfits for male and female participants. Purchase of a hud is a donation directly to RFL and when you finish the Quest, the rewards are amazing! This is not a simple hunt. You will need to complete various puzzles and challenges as well as using your best hunting skills. Here I am receiving my mission from the Bard Queen, wearing the Emissary outfit from the Deluxe Hud. The designers, organizers and support people have all been hard at work for months. It's been truly gratifying to watch the group chat as the sims came together. Everybody was so supportive and FUN! as they worked together to solve problems, meet deadlines and have everything ready for the first day. Most people's first stop @ Fantasy Faire 2016. Be sure to pick up a Scroll of Teleportation [teleport hud] to make traveling throughout the sims easier. 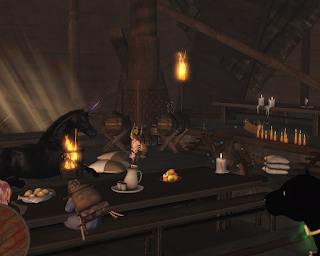 Also pick up a low lag system avatar provided by Curious Kitties. They're free and will come in handy if lag gets bad in busy locations. A good place to keep in mind if the hustle and bustle of shopping and exploring get to be too much for you. It's quiet here and a lovely place to catch your breath. This is where the hunt will take place. It's dark, very dark and a very disturbing Norn popped out of the darkness behind me. 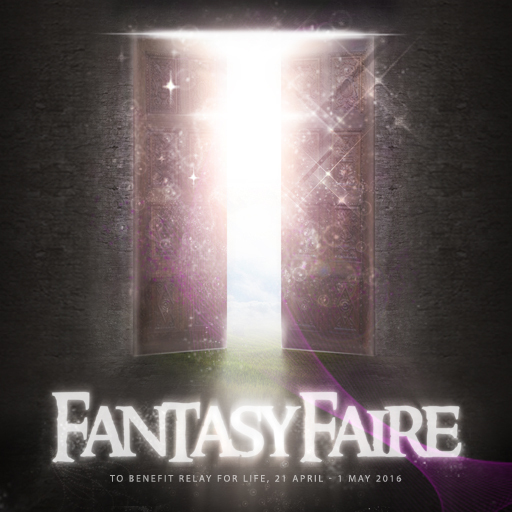 Fantasy Faire is in its eighth year. It has been my favorite SL event for as long as I can remember. 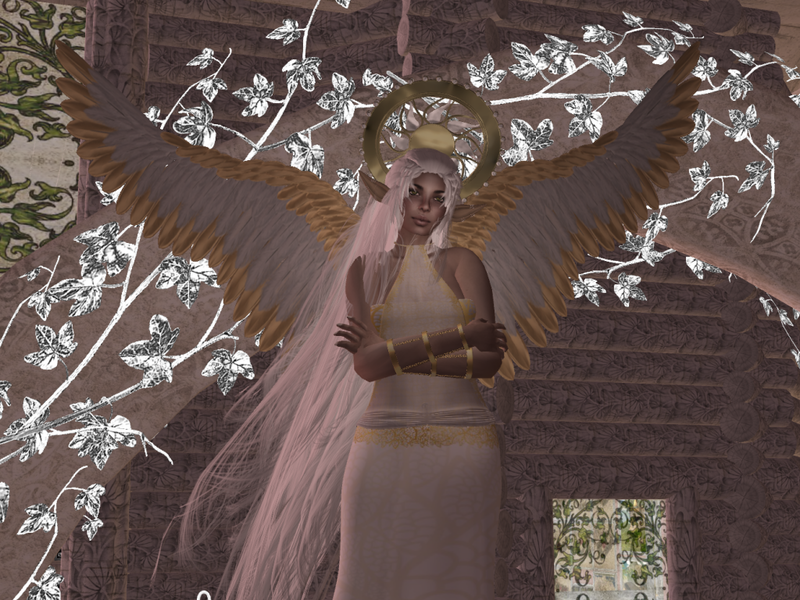 Fantasy Faire 2016 promises to blow all the others away, so I am very honored /excited / humbled to have been selected as an official blogger for the event. 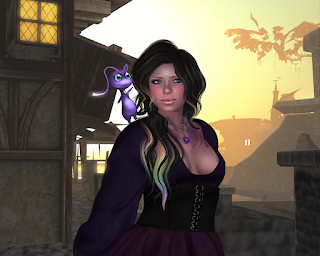 Each designer / shop / activity allows participants to support Relay for Life to raise funds for cancer research while having the most amazing experience you'll ever have in SL. * Patience Lots of avis means occasional bouts of LAG. It happens. Be patient! * Seven League Boots There are 14 sims. You'll be traveling a LOT! * Sense of Humor Stuff happens. Have fun anyway! Laughter is good for the soul! Start your journey at the Fantasy Faire Junction. 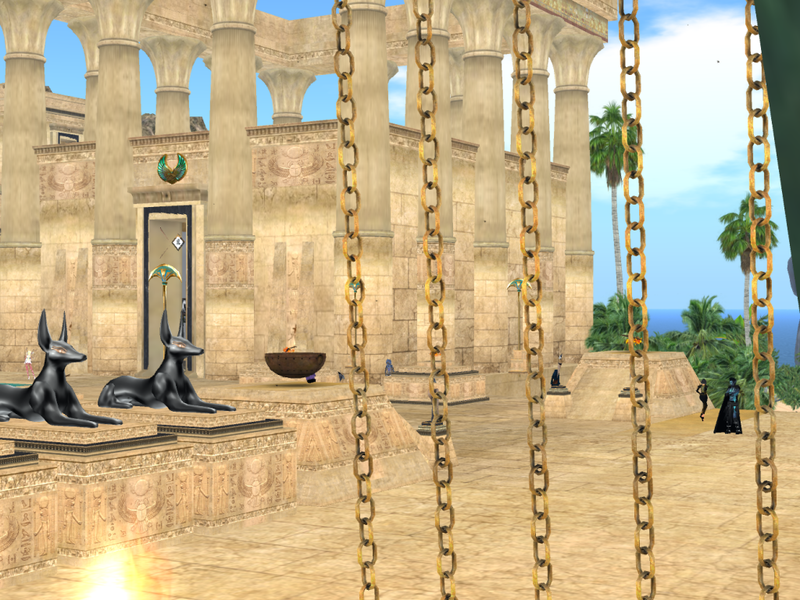 Here gateways will take you to each of the sims. While there, look for the area just off the main landing point where the memorial candles are lighted. Each represents a SL friend or family member who has lost their battle with cancer and will remind you just what Fantasy Faire is really all about. 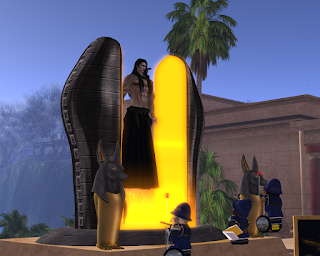 I'm standing at the gate to Otherworld, the literary sim doing the "Open! Open! Open!" dance. Some high end gacha events going on now. A few give no closing dates, but based on past experience, you probably need to visit these before the end of the month. Seriously, would it kill the planners to make the start and end dates clear on these events??? The Gacha Guardians April 1 ~ ??? Your first stop takes you to the location to pick up a hud to take you from store to store.You must fill in the hud by touching the lighted rune column at each location to access the final prize location. If you play the Guardian gacha 10 times, you get a key for a special goody at the end of the hunt. Lovely seasonal items spread over a nice sim. Lots of gachas and items to purchase. It's a storybook location to take pictures, as you can see from this one I took with some passing ducks. The Epiphany April 14 ~ ??? The sim was still really packed when I tried to get in Sunday night, but should be accessible by midweek. I was camming in from the overflow sim, which allows you to play the gachas, but which can be challenging. See the hint boards on the overflow sim if you have problems. Gachas galore with really nice items from skins to clothing to home accessories. Picture taken as I lagged off the sim. The latest items from +Aii+ are outstanding! Even the Succubus items, which theoretically should be at least a little creepy, are beautiful. Shown in the picture is the Moon Princess Shawl, which has floaty streamers and a big bow at the waist in the back. There is a special AO override which keeps one's arms inside the loops of the shawl. It comes with a really cute ribbon play suit and is part of the Kawaii Project. I chose to go a different direction with my Moon Princess shawl. I'm wearing the bra and bottom from the +Aii+ Sweetheart Succubus Fatpack. This comes with mesh breasts built in so you don't have to fight to get the top to fit right. The top works with your Omega skin appliers for a perfect match! 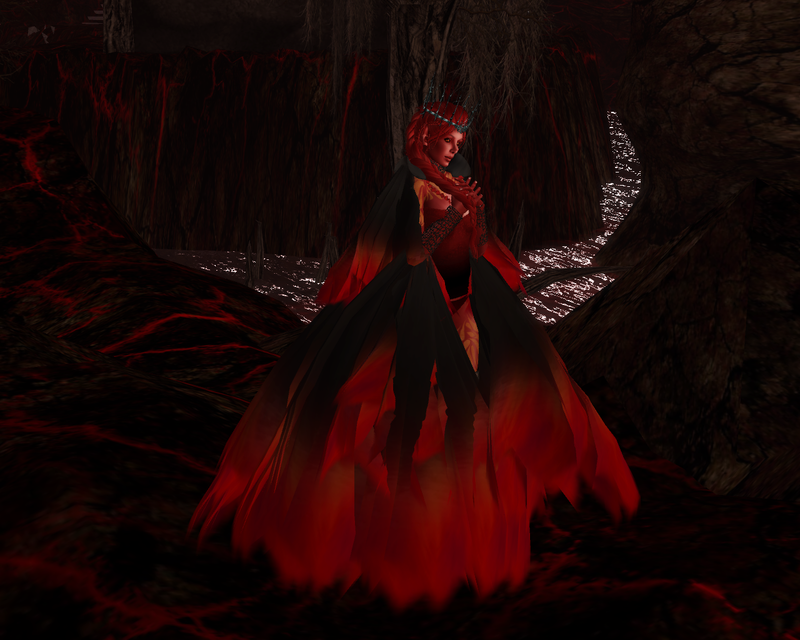 The skirt is the Drape from the Sweetheart Succubus set, which also comes in black, blush and red. 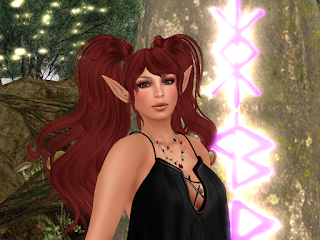 Skin ~ Lumae::Fable River lovely colors and comes with a raft of appliers, a shape and even the ears! 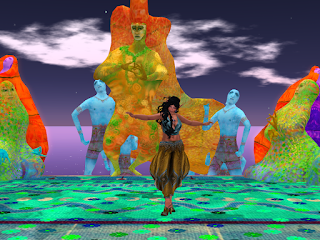 Dreams is a monthly event with a special theme quarterly. It features all gachas; mostly fantasy items. A really pretty sim with interesting people... um, creatures... like Diaski shown in the picture. When you land at this one, you'll undoubtedly wonder whether you're in the right place because it tends to look like a tag sale in a warehouse parking lot, but there are gachas from some of your favorite Gorean and fantasy designers. Many have appeared at more prestigious events, so it's a good place to fill in collection gaps. At L$30 a pull, you really can't go wrong and most of them offer a free item as well. Special Guest Designers round. Now on chapter 17, this gacha/sales event has been around for a while. This session offers a room full of under L$100 items as well as a Half Price Room. 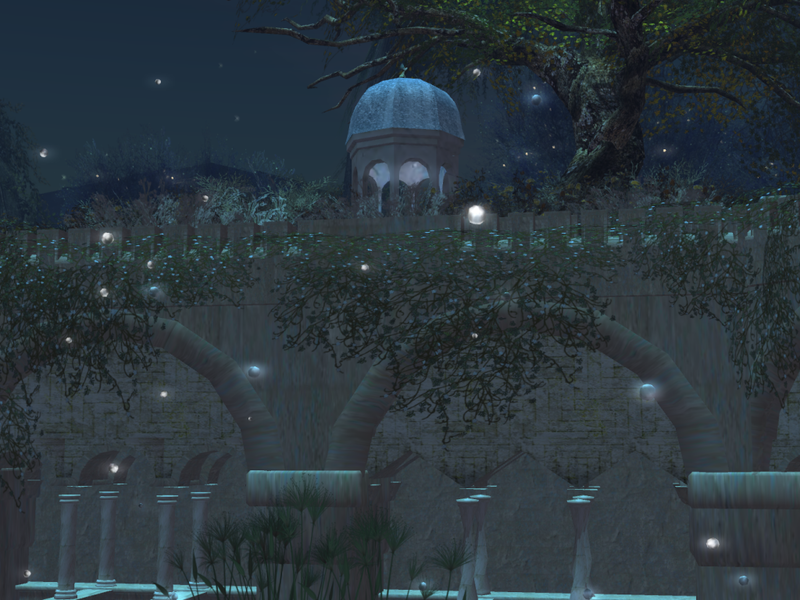 Every round of W♥RP brings more fantasy goodies. Most are discounted for the duration of the event, so it's a favorite shopping destination for fantasy creatures, Goreans, Goths and other fringe dwellers. I think "gypsy" is the best way to describe the style at this event. I didn't see any gachas, but lot's of reasonably priced fantasy and tarot items. An all-gacha event, with gachas priced from L$25-L$75. 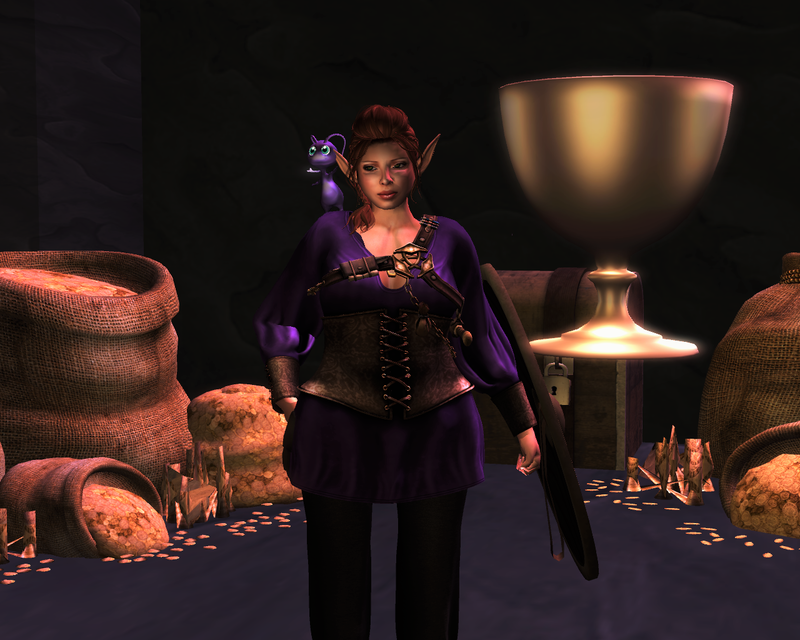 This is a lovely build and has some excellent clothing and accessories, most of which are fantasy items. The gachas seem very generous. I got several rares on the first or second pull, so I was impressed. Starts on the 15th of every month and ends on the 12th of the next month. Each month has a different theme. Lovely clothing, nice accessories, and all items under L$100. If you love the medieval look or are furnishing your castle, you need to check out this month's Genre.